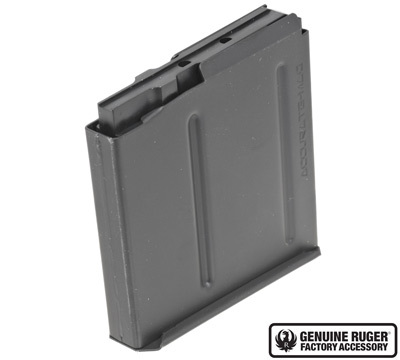 5-round single stack .300 Win Mag magazine for the Ruger Precision® Precision Rifle magnum caliber. 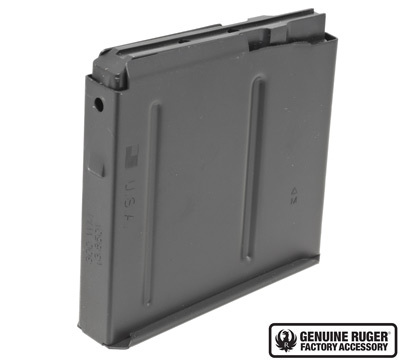 Metal box magazine is finished in Teflon-coated black nitride. 3.850" overall length. 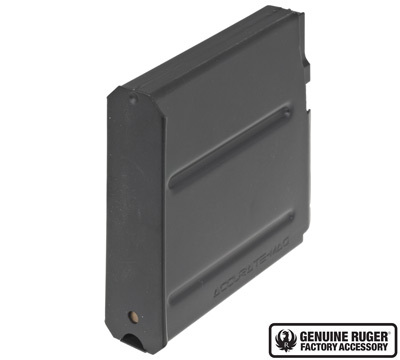 Fits the Precision Rifle chambered in .300 Win Mag only. 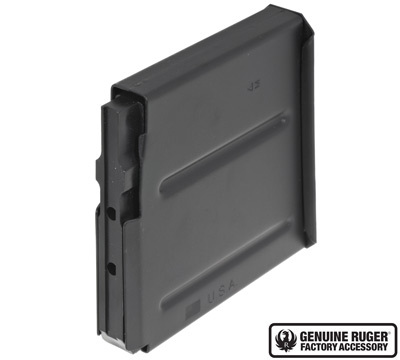 This Genuine Ruger® Factory Accessory is made in the USA by Accurate-Mag.